Many visitors to our area don’t realize that all of these world-class destinations can be experienced in one amazing trip. Imagine seeing some of the worlds most incredible natural geothermal phenomenon, driving up and over 10,000 foot mountain peaks, seeing the western prairie as untouched as it was over 100 years ago, experiencing Custer’s Last Stand, walking through President Teddy Roosevelt’s hunting cabin, looking upon some of the most spectacular badlands scenery in America and digging for dinosaur bones. Listed below is a two-week itinerary that will allow you to experience all these sites and more. Of course any piece of this itinerary can be cut out to make for a shorter trip. Feel free to contact us for more information or advice on how best to fit this itinerary to your plans. Begin your adventure in Billings, MT. Billings’ Logan Airport is the largest in Montana and has direct flights to 8 major American cities. If you are driving from the East or the South, this itinerary can easily be arranged to fit your route. DAY 1: Breakfast in Billings, then head south on US -212 for a drive over the Beartooth All-American Highway. Go through Cooke City and through the Lamar Valley in Yellowstone National Park. Stop and spend your first night at Mammoth Hot Springs at the north end of Yellowstone National Park. DAY 2: Take a scenic drive south via Norris Junction to Old Faithful, over night at Old Faithful Inn. DAY 3: Drive east to Lake and the Lake Lodge, overnight at Lake. Check out boat tours on Yellowstone Lake while you are here. DAY 4: Head back to Billings over the Beartooth All-American Highway and overnight in Billings. DAY 5: Go east on I-94 towards Miles City and plan your overnight in there. On your way stop at Pompeys Pillar. When in Miles City visit a museum or the winery and have dinner at the historic Montana Bar. DAY 6: Drive to Glendive with a stop in Terry to tour the Evelyn Cameron Gallery. If you are up for a hike, check out the natural Bridges on the Calypso Trail. In Glendive, take a drive to Makoshika State Park. Overnight in Glendive. DAY 7: Continue your drive east on I-94 to Medora. Spend your day in the Medora Area, visit Theodore Roosevelt National Park, see the Medora Musical, then drive back to Glendive for your overnight. DAY 8: Drive to Rapid City via Wibaux, Baker, Ekalaka and Alzada. Stop at the Carter County Museum in Ekalaka and make a stop at Medicine Rocks State Park. Overnight in Rapid City. DAY 9: Visit Mount Rushmore and the surrounding area. Overnight in Rapid City. DAY 10: Visit Wind Cave National Park and Custer State Park. Overnight in Rapid City. DAY 11: Drive to west via Highway 212 to Hardin, MT. Stop in Broadus for ice cream at the Copper Moon. Continue on Highway 212 and stop in Ashland for a visit to the Saint Labre Indian School and Museum. Overnight in Hardin. 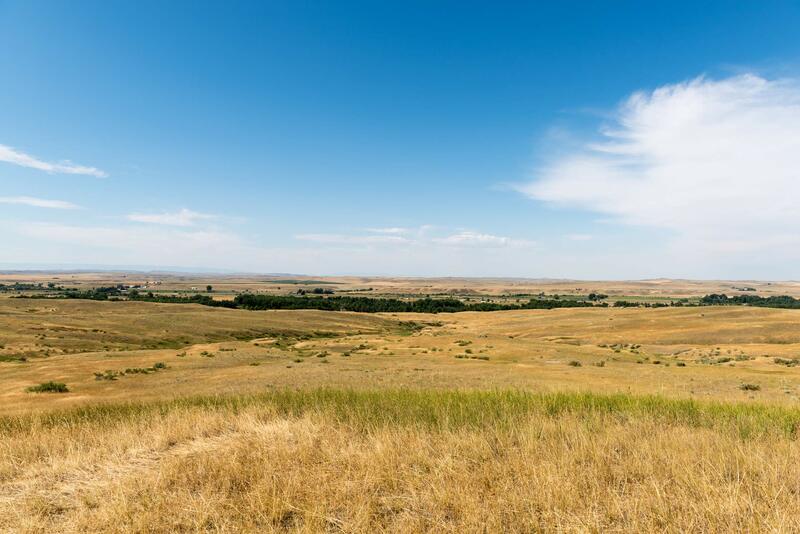 DAY 12: Experience Little Bighorn Battlefield by car and with a talk by a ranger. Visit Big Horn County Museum, Custer Museum and enjoy Indian Tacos at the Trading Post. Overnight in Hardin.